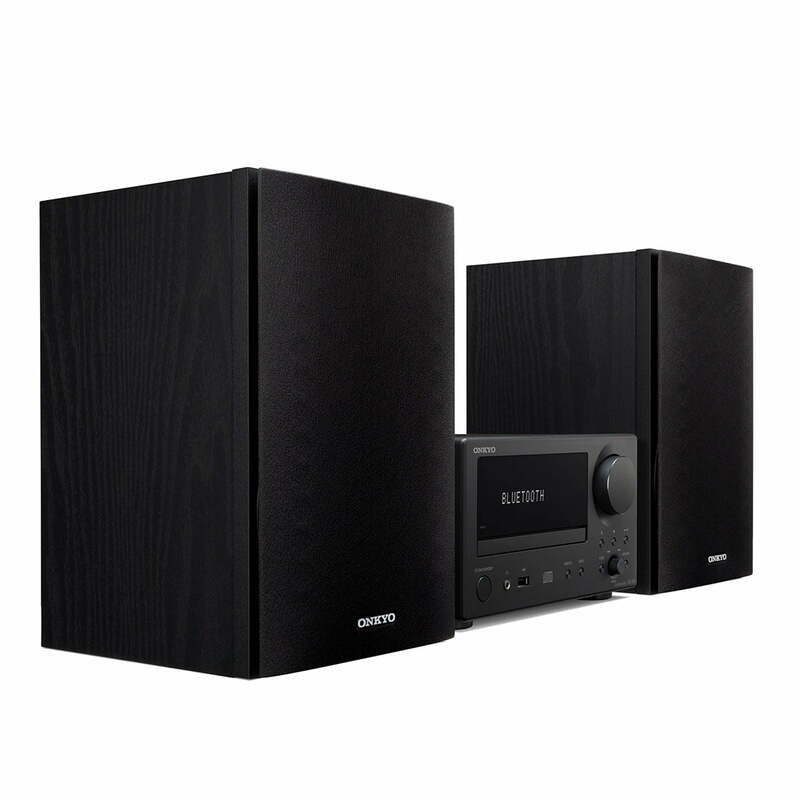 Onkyo CS-375 features a stereo design that produces up to 40W of total power with its 2-way speakers. 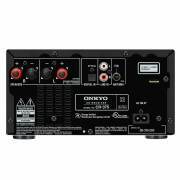 In addition to the aforementioned sources, the CS-375 also features stereo RCA and optical inputs, allowing you to connect a variety of device types. 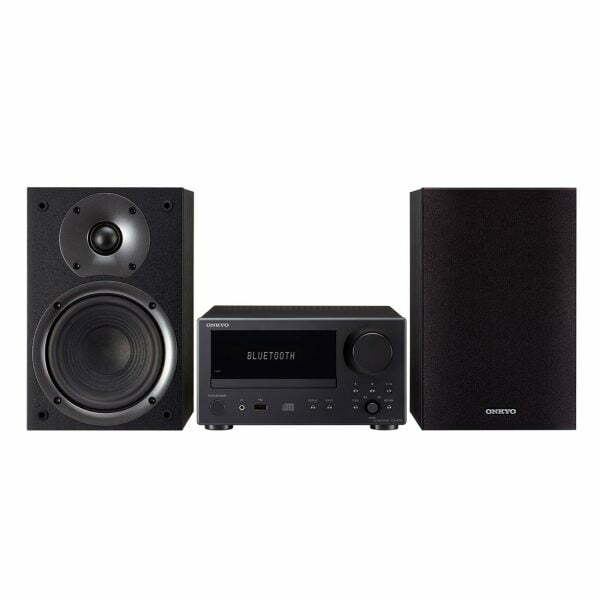 The USB input allows for playback of your digitally stored media. The CS-375 features a switching amplification system designed to deliver high speaker-driving power, maximizing sound pressure levels for enhanced energy and punch over an expansive soundstage. Optimum Audio Control technology was developed to integrate amplification and speaker characteristics with factory DSP tuning for harmonized performance with augmented vocal range, dynamics, and clarity of detail. Plug a flash memory device into the front USB input and access your digital music using the JOG dial or remote control. Scan and save up to 30 FM radio stations for one-touch recall. The front-loading tray lets you place your CDs inside with less of a chance for scratches. Modes for track, album, and repeat, plus a random playback option, all help to make CD listening more convenient. 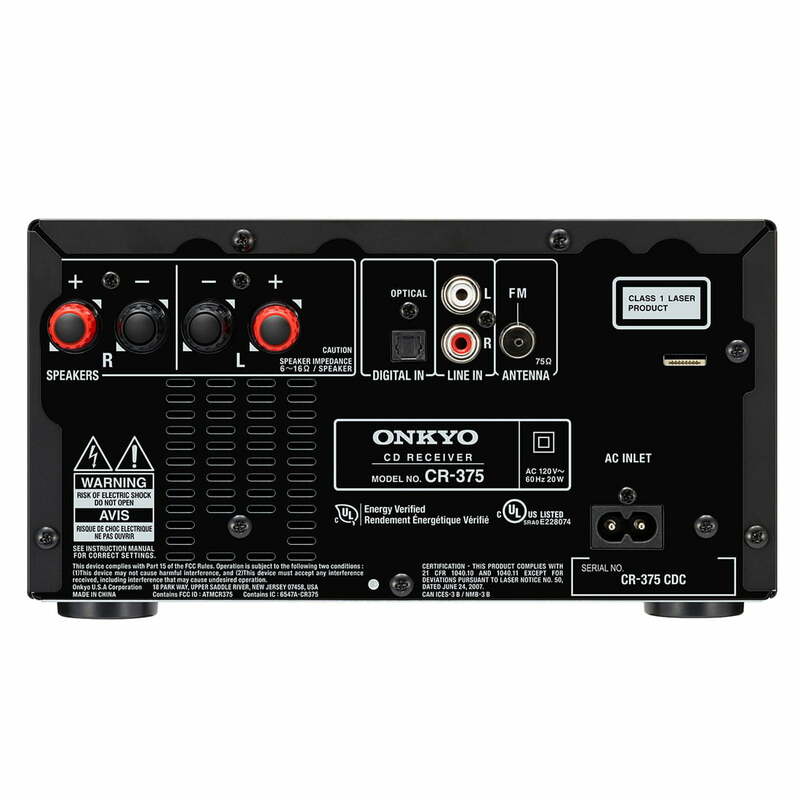 Send computer- or display-based audio through the system via the rear optical input. The stereo RCA input will accept your analog devices.